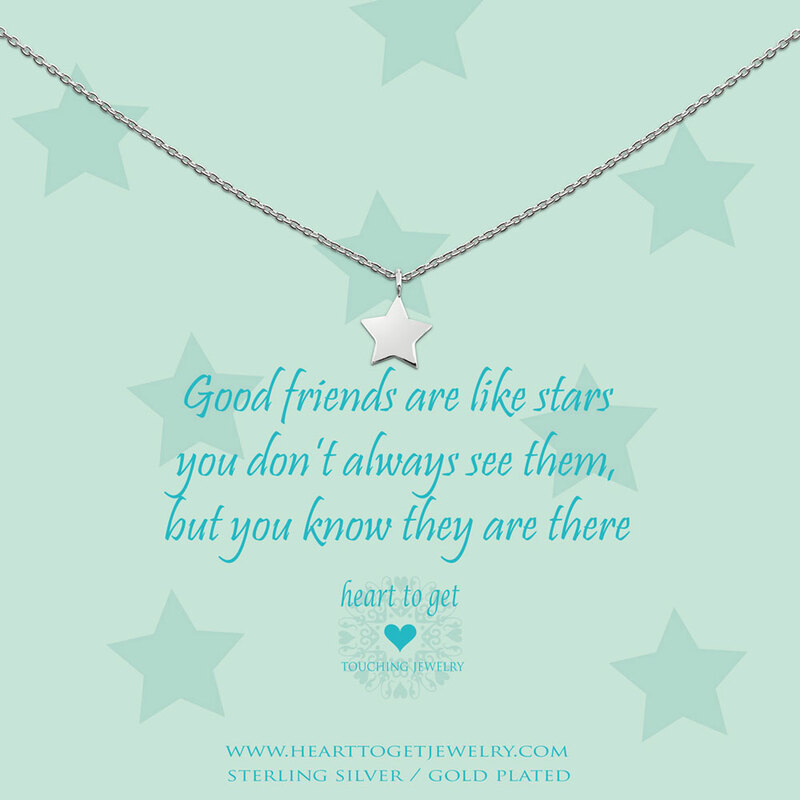 This necklace wears the message ‘Good friends are like stars, you don’t always see them, but you know they are there’. Length of the necklace: 40 cm + 4 cm extension. Available in silver, gold plated or rose plated.